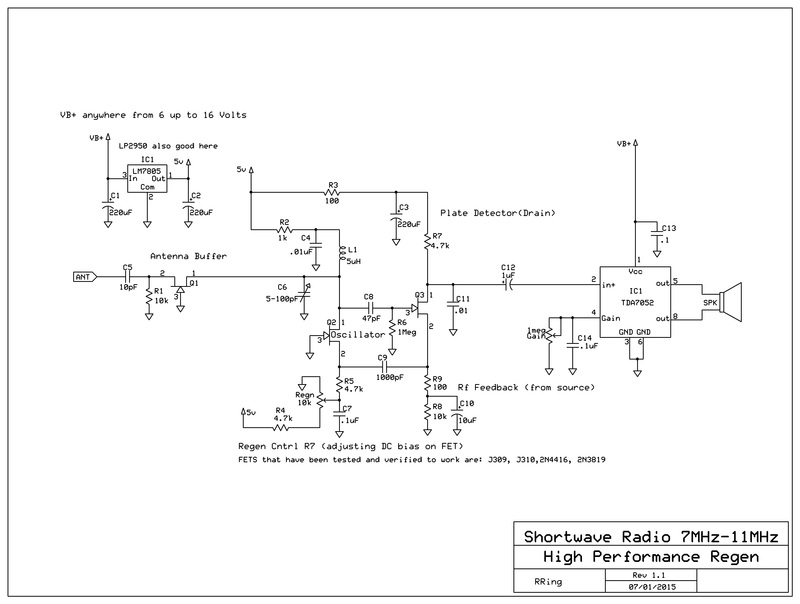 Simplicity – this type of radio should not be complicated and I have seen designs on the web that may perform well, but seem unnecessarily complicated. 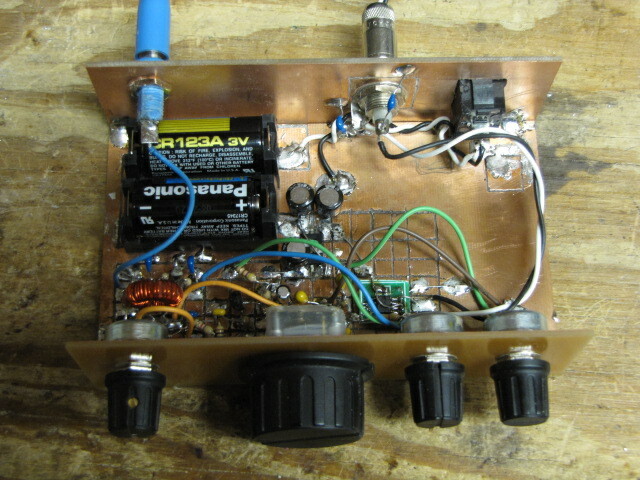 Tuning/fine tuning – I use a cheap poly variable for main tuning and a junk box rectifier as varactor for fine tuning. Extremely smooth and stable Regeneration control – I adjust a DC bias point condition instead of RF Feedback to control regeneration and the performance is excellent. There is no hysteresis or abrupt transition from regeneration to oscillation. Ample Audio Gain with no motorboating or instability – I stayed away from the LM386(which could be used) and chose a TPA301 amplifier IC – which give excellent results. Antenna Isolation – This is achieved with a simple grounded gate input stage which shares the LC tank with the oscillator. No critical adjustments and easily repeatable results – I have built this circuit now three times with different inductors, for different bands and with different JFET device types on bread-boards, etc. The results have all been the same and I have only had to make minor tweaks to optimize performance for different JFET types and significantly higher or lower frequency bands. The radio currently tunes 7-11MHz. The basic paradigm of this design is to break up the traditional oscillating detector into a separated regenerative amplifier and detector circuit. The detector is a “plate detector”, where RF is fed back to the Amplifier via a partially RF decoupled source(normally bypassed all the way for RF when used as a detector). It occurred to me that if one is willing to sacrifice some flexibility in the decay length of my compressor design; that it can be simplified by removing the source follower and the Zetex current sensor. What this means is that the control voltage is only half wave rectified instead of full wave, but if you just increase the filter cap – the circuit should still work fine. The trade-off is that you get limited to longer decay times only, but for most guitar applications this is fine. I have not verified this circuit but I will do this soon. I am confident it will work well. Removing these parts may make it more attractive to the DIY builder. This IC is a switch cap charge pump the can source up to 50mA and can generate a negative supply from positve supply or can function as a voltage doubler. This thing is tough as nails and operates at 100KHz (easy to filter and above the audio range). It is over 90% efficient and requires two caps and maybe some diodes. I use it all the time for generation of dual supplies and doubled supplies for op amp circuits and high side nmos fet gate switching voltages. Check out the example circuits below. This IC solves all kinds of headaches with the addition of three or four parts to your circuit. I am going to do PCB board layouts of some of these projects in using expresspcb.com’s free layout tool. I will use through hole parts as mush as possible. All the parts I spec will be available from digikey, mouser, mojo or small bear – no condor eggs! I will post the files and anyone who wants can mod the boards or order them as is from expresspcb. It will take me a couple of weeks – I want to be very careful and make sure I have no errors. So check back soon. Yes its ugly – but it works great! 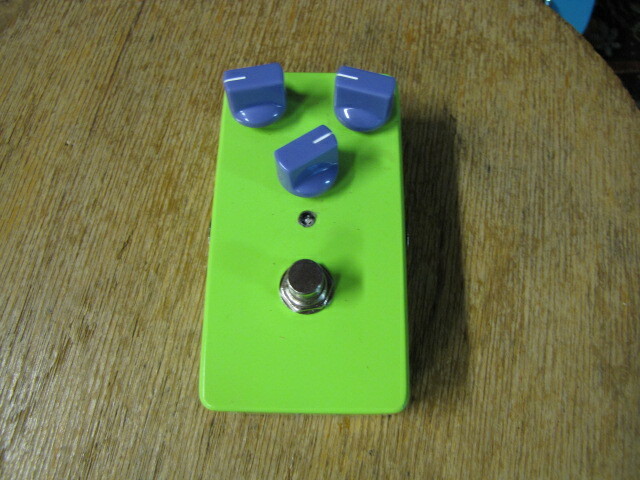 I have been building a lot of guitar electronics these days … and more to come I hope! Having said that, I think it is important to show how they can be used in real music and how well DIY designs can perform as compared to commercial products. My first demo is of my portable busking amp and my FET discrete signal chain compressor. This demo represents a classic jazz sound using the compressor to understate all of elaborate grips on the guitar and make the lines very smooth sounding even with heavy down strokes. more demos to come shortly!